Simcoe. 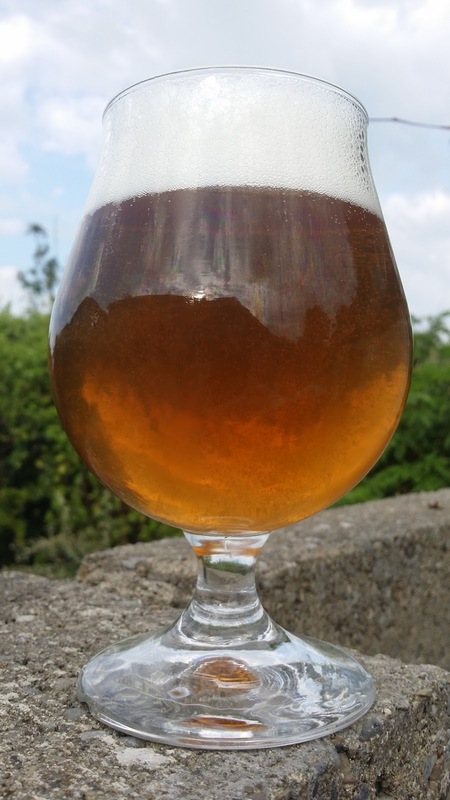 A cat pissy, dank, hipster hop that is on nearly every page of BrewDog's DIY Dog. It's impossible to get off contract and even if you do have a contract it may not be entirely fulfilled. Going on BrewDog's published recipes it's easy to see why there might be a shortage: they use a huge quantity. I was fortunate though to be given quite a lot of Simcoe this year, so much so that I've had to give some of it away in turn. But one thing I wanted to do was a SMaSH, or close to it, that wasn't just stuffed to the balls with hops. It's so easy to give into temptation and shovel them in, but I wanted something more svelte. Consensus is that Russia River's Row 2 Hill 56 is a damn fine example of a single hop Simcoe pale ale. Deriving its name the row and hill on the hop farm in Yakima where it's grown, it's draught only and only available in the US. So I haven't had it (yet), but that's something I plan to rectify shortly. The recipe below is drawn from a number of internet sources. 20 litres. Single infusion mash at 66°C for one hour, and boiled for one hour. Cleared with gelatin. Crystal clear thanks to gelatin with excellent retention and lacing. An unexpected and wonderfully delicate hop aroma and flavour with none of the cat-pissy dankness I've come to associate with the likes of Simcoe, Galaxy, Citra and a couple of others. If you're looking for a simple sessionable hoppy pale ale, this is it. Simcoe tastes quite orangey to me. I didn't get cat piss off it, but maybe it's a concentration thing. I tried Mosaic recently and dry-hopped with 6g/l and ended up with a beer that had a very strong armpits smell. Amarillo is the orangey one to my palate. Armpits -- that's a new one to me! What do The Púca and Chloe Dancer have in common?